On November 11th, the Program team of“Distant Home” in CCTV came into the Confucius Institute of Kelaniya University,Sri Lanka. Dr. Huang Jie, the director of Confucius Institute of Kelaniya University, led the team to visit the teaching area and office place.She made a specific introduction about the history and outcome of the Institute.The team also interviewed the Chinese teachers and volunteer teachers who shared their work, life stories and unique experiences in Sri Lanka. On November 14th, the closing ceremony of the Second Chongqing Youth Drama Festival was held in Chongqing Guotai Arts Center. Xu Chi, the teacher of CNU, got the award of Best Director by his original drama “Policemen and Anthem”.Cheng Zechuan, the student of Chongqing Normal University, got the award of Excellent Actor by his great perform in the drama “Policemen and Anthem”. 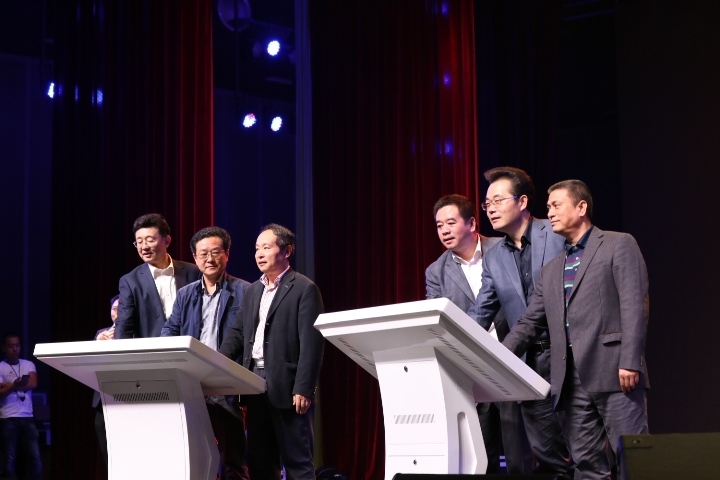 On October 12th, theweek of “Public Entrepreneurship and Innovation Activities in Chongqing” was launched in Chongqing Normal University.The Program of “Olfactory Intelligent Testing Instrument” of Chongqing Normal University was presented the first prize.